Stop wearing smelly or unwieldy clothing. For quality laundry and dry cleaning services, DRY CLEAN SUPER CENTER in Cedar Hill, TX is the name to call. You can also have us do alterations for your favorite pieces of apparel, making your clothes fit just the way you want them to. Best of all, we promise to replace your buttons free if they happen to get lost or damaged during the cleaning process. 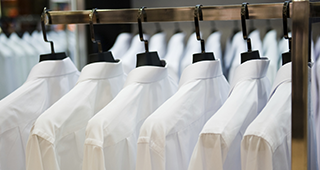 Keep your clothes neat, clean, and looking new with our laundry services. For a more in-depth look at our services, rates, or the laundry and dry cleaning discounts you can take advantage of, call us at 972-291-4800. We’ll be honored to add you to our list of happy customers!